Feds have clarified an attestation that sparked controversy. Employment Minister Patty Hajdu arrives for the Liberal cabinet retreat in London, Ont., on Jan. 12, 2018. OTTAWA — The Liberal government has clarified how its new policy on reproductive rights will apply to organizations seeking youth summer job funding — but it's standing firm on its decision to deny grants to groups advocating against abortion. "It's not about beliefs or values,'' Employment Minister Patty Hajdu said Tuesday in Toronto. The Liberals have said that faith-based organizations are welcome to apply, but they and all other applicants must attest to their respect for sexual and reproductive rights — including "the right to access safe and legal abortions'' — as well as other human rights in order to be considered. Newfoundland Liberal MP Scott Simms rises in the House of Commons on Parliament Hill in Ottawa on Sept. 22, 2010. The core mandate, the website says, refers to "the primary activities undertaken by the organization that reflect the organization's ongoing services provided to the community,'' and not its beliefs or values. "A faith-based organization that embraces a traditional definition of marriage but whose primary activities reduce social isolation among seniors applies for funding to hire students,'' the website said, noting the programs the student employees developed would be available to all seniors, no matter their sexual orientation, gender identity or gender expression. 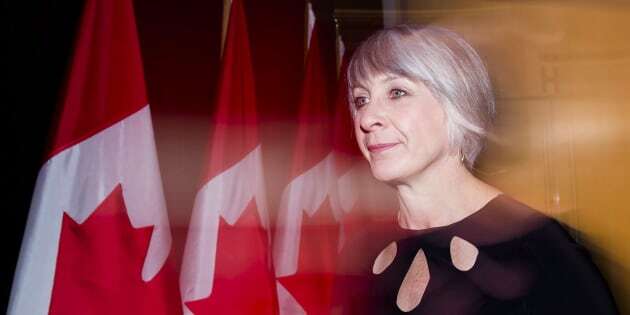 "We took those complaints seriously and this is the decision that we've taken, that in order for organizations to receive funding they have to affirm that they will not work to undermine the rights of Canadians,'' said Hajdu. Andrew Bennett, the law program director at Cardus, a public policy think thank, noted that distributing graphic anti-abortion pamphlets, however "distasteful'' many people might find them to be, is not against the law. "People are going to disagree vehemently on issues, but that's what it means to live in a democracy,'' said Bennett, a Christian theologian who previously served as the federal ambassador for religious freedoms. "The government has a particular responsibility to ensure those fundamental freedoms are guaranteed and protected,'' he said. "I think that if a group still feels that they cannot sign the attestation even with these clarifications, well, I guess they are ineligible for funding,'' said Arthur.